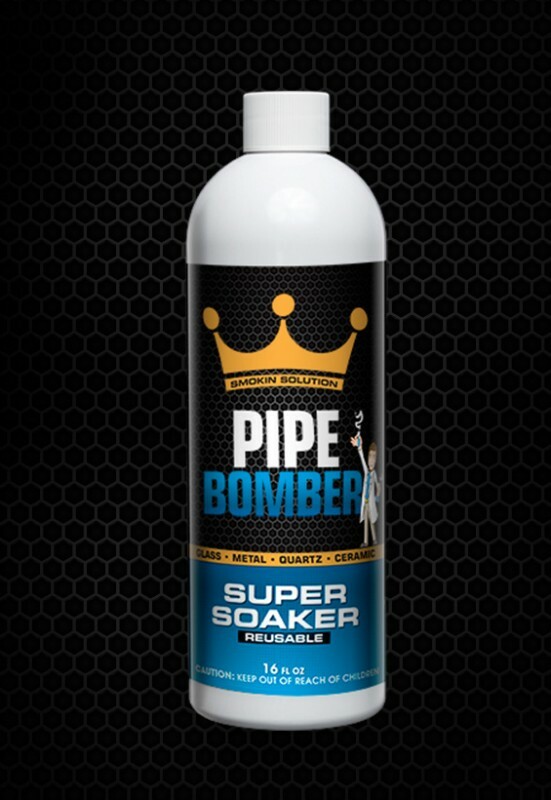 PIPEBOMBER™ Super Soaker is a reusable, easy to use, non-abrasive, alcohol free proprietary formula specifically developed for soaking of any glass, ceramic and metal including water pipes, rigs, dabbers, nails, slides, domes, bubblers, buckets and spoons. 16 fl. oz., 2 fl. oz.